Mass Flow Meters - Hositrad Holland B.V.
ALICAT Scientific’s line of mass flow meters, mass flow controllers and pressure controllers are the fastest in the world. With response times as low as 4 milliseconds, expedited delivery and immediate access to application engineers, Alicat will help you find the right solution, fast. All of their instruments come with NIST traceable calibration sheets and a lifetime warranty. Come learn why their products are the best choice for laboratory and industrial applications. ALICAT instruments are in operation around the world in industries such as automotive manufacturing, fuel cell development, environmental testing, leak detection, spray drying, tank blanketing, atmospheric testing, fiber optics, calibration houses , process gas metering and vacuum industry. ALICAT products help customers save time and money by reducing downtime and material loss, and increasing measurement precision. ALICAT has earned a solid reputation by providing accurate and dependable products and never wavering from a strict policy of superior customer support. If you are unsure about which product is the best fit for your application, request application assistance from one of our applications engineers. 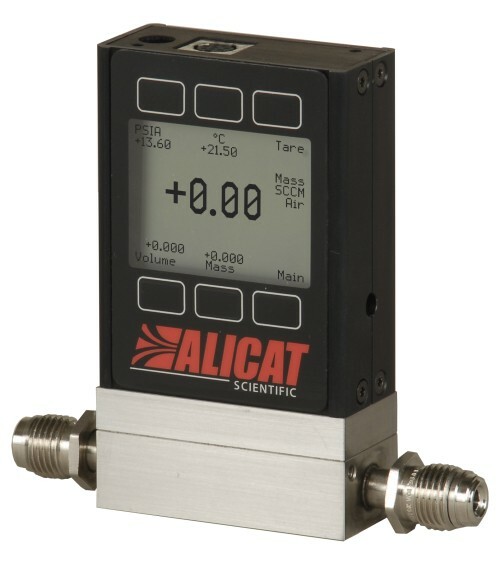 Alicat mass flow controller and mass flow meter products are easy-to-use, benefit-rich, laminar alternatives to more common thermal flow meter and thermal flow controller instruments. The versatility of our devices is reflected in their numerous standard features. 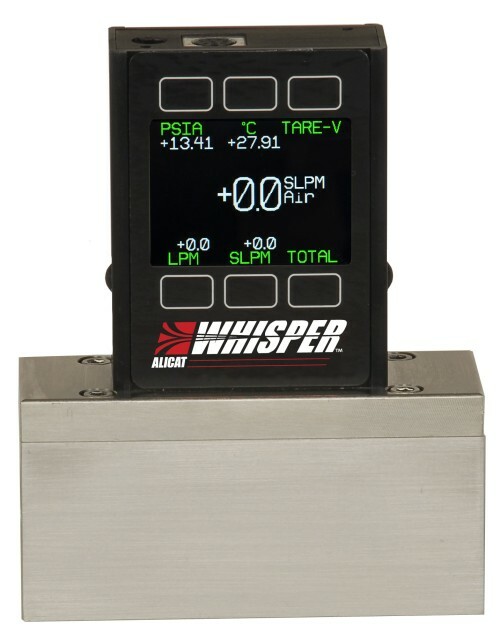 Alicat’s Whisper series low pressure drop mass flow meters and controllers offer pressure drop as low as 0.2PSID from ranges of 0.5SCCM through 500SLPM, with no sacrifice in features or benefits. 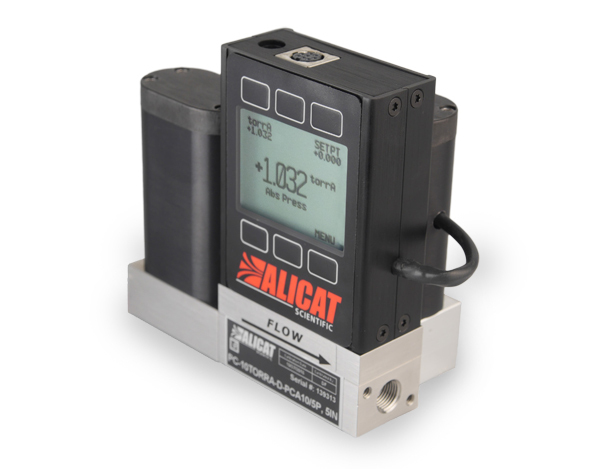 ALICAT liquid flow meter and liquid flow controller lines are designed with laboratory and process automation in mind. These devices utilize the same principles of laminar flow that are used in our mass flow meters and controllers. ALICAT pressure controllers can be configured for use in vacuum control applications as well as pressure control applications and offer customers a variety of cost saving features. ALICAT provide a range of hardware and software accessories to accompany our products. These can be added to an order to create an “out of the box”, ready-to-use laboratory package, or to minimize the additional components required for an integrated application. Alicat Scientific provides a range of product options to customize their products to meet your needs.